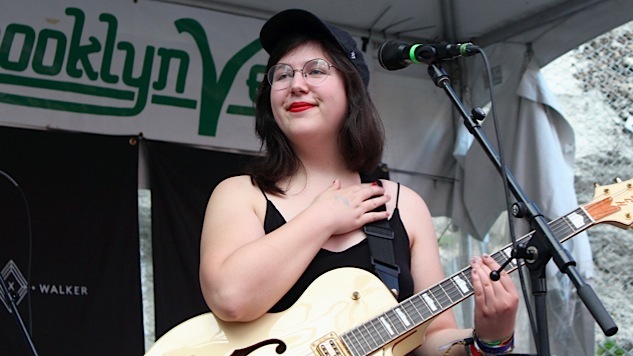 Saturday was the last official day of the 2018 SXSW festival here in Austin, and the week was a challenge of stamina as always. Check out the highlights from our final SXSW daily round-up below, and catch up with the highlights from the previous five days here. SXSW Pro Tip: If you’re going to stick it out for the last day on Saturday, start it off by seeing a band that will definitely give you life. Diet Cig memorably filled this role for me two years ago; this year, it was Speedy Ortiz. We loved their Friday set at Floodfest, and Saturday’s Barracuda performance benefitted from a much better sound system. Sadie Dupuis was locked in once again and the band was tight on tracks like “Lucky 88” and “The Graduates.” Shout out to drummer Mike Falcone, who’s a straight-up savage. 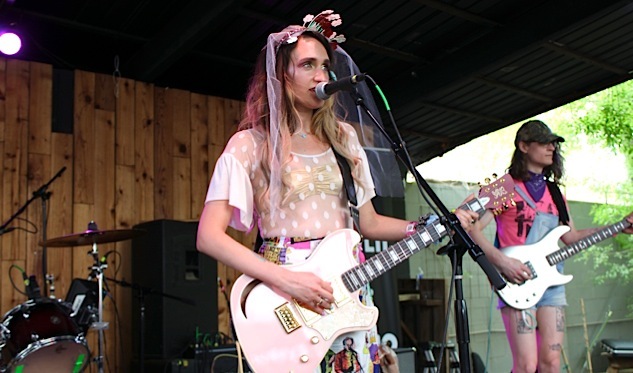 As the show came to a close, Dupuis beckoned members of the band Maneka (led by former Speedy Ortiz guitarist Devin McKnight) to take over and shred for the last part of their closing song. It was a swell moment. Not that Duckwrth needed a foil to look even better onstage, but right before the rap fusionist jumped on the Scoot Inn stage for C3’s showcase, Minnesota rapper Yung Gravy delivered the most uninspiring display I’d seen all week. The dude barely rapped over a weak backing track and it reeked of cultural appropriation at its worst. It was an insult to the important legacy of Minnesota hip-hop. 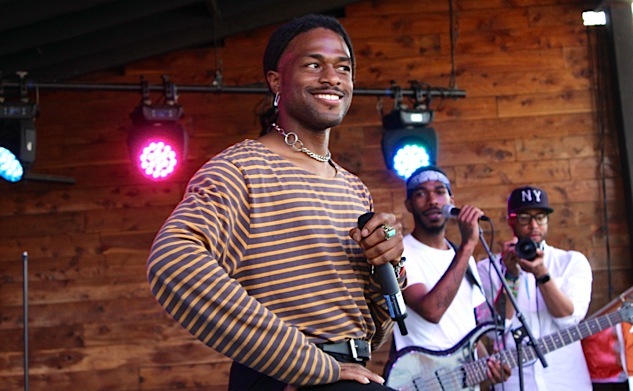 Meanwhile, nobody moved in Austin this week quite like Duckwrth. The man is active as hell and his live setup delightfully features Bay Area stalwart producer Drew Banga on bass along with DJ/keys player Anthony Dragons. The C3 showcase was a frenetic run of 20ish-minute sets stacked up across an entire afternoon, but this was all I needed to see from Duckwrth to know that he’s growing as an artist and is just the absolute TRUTH. He sings, he raps, he dances, and he commands the attention of anyone within earshot. He’s got a distinctive flair to his bohemian rap and while I’ve always felt like the comparisons to Andre 3000 are easy and basic, I see it now after this set. Duckwrth is a star and people were talking about him all over town. Now it’s your turn. Dacus and her band’s incredible number of show sent emotions coursing through my body and put into perspective what a long week this was for artists, media, managers, promoters, sound techs, and just about anybody else involved with the festival. Dacus effectively put the audience on notice that we were about to get closure on this incredible, chaotic, exhausting, but ultimately rewarding week, and she and her band were brilliant. The outdoor stage at Cheers Up Charlie’s is an all-time favorite venue at SXSW, mainly thanks to how consistent the sound and overall conditions are. With the memory of Stubb’s flubbing the entry process to Dacus’s Wednesday night showcase fresh in our minds, this was a rewarding set with one of the best emerging artists of the festival front and center. To celebrate her final set, Dacus played some tracks that didn’t appear much, if at all, in her other shows during the week, and performed the grandiose usual set closer “Pillar of Truth” early on. There’s something meditative about a band playing the last of 17 shows, and it was felt by both the fans and the artists. It was as if Dacus was smiling every time she realized that it would be the final time she was playing each song. The set closed with Dacus gleefully polling the highly engaged crowd on what we wanted to hear, and we were serenaded with “Yours and Mine” and “Night Shift,” both from recent Matador Records release Historian. That’s a Wrap! Thanks for following our coverage from the 2018 SXSW Music festival. Check out all our SXSW coverage here. 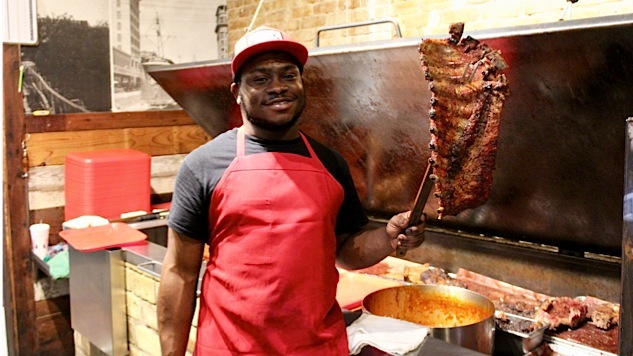 We’ll leave you with pit-master Lamar at Cooper’s Old Time Pit Bar-B-Que holding up the week’s best beef ribs!